There are four main styles of hearing aids: in the ear (ITE), invisible in the canal (IIC), behind the ear (BTE), receiver in the ear (RIC). Your hearing professional will make a recommendation for style depending on what type pf hearing loss you have. This is because each style differs in its maximum power output and which tones it can amplify. In the Ear (ITE): This type of hearing aid goes completely in the ear. It is custom molded to fit your specific ear shape and generally takes approximately 2 weeks to order due to manufacturing. These hearing aids come in different sizes in order to meet your specific desires and needs. Larger models fill the outer ear and are one of the easiest models to maneuver for patients with dexterity concerns. Invisible in the Canal (IIC): This of hearing aid is similar to the ITE, however it goes completely into the canal and is thus very small in size, often invisible once in the ear. These are usually custom molded, however, there are also non-custom styles that come with a sleeve. This style of hearing aid is very popular for individuals who are concerned with aesthetics and would prefer to have a hearing aid that is not noticeable. Due to it’s small size, good dexterity is usually required for these hearing aids. iDenture & Hearing now offers free trials of IIC hearing aids! Ask us to learn more! Behind the Ear (BTE): This is generally the most powerful hearing aid on the market and is best for severe to profound hearing losses. Microphones and speaker components are located behind the ear with a custom mold in the ear. This hearing aid comes in various sizes with different types and shapes of molds. We now offer free trials of BTE hearing aids for your convenience! Receiver in the Canal (RIC): This is the most popular type of hearing aid on the market simply because it can be programmed for many different types of hearing losses from mild to severe. It comes in different sizes to suit your needs. Microphones are located behind the ear, however, the speaker is located inside the ear which allows for more powerful clear sound quality. 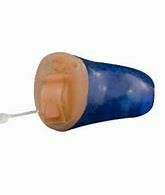 These types of hearing aids can come with plastic generic tips or custom mold tips depending on user preference and degree of hearing loss. At iDenture & Hearing, we have many different brands of RIC hearing aids available for a free trial. There are many different hearing aid manufacturers in the industry. Each brand specializes in different features and is accompanied by various prices. At iDenture & Hearing we sell any brand of hearing aid in order to meet your needs! Our hearing professionals will recommend a brand based on your lifestyle and which features you prefer. Some of the more popular brands on the market include: Phonak, Widex, Sivantos, Oticon, Unitron, Starkey, Bernafon, and Resound. We encourage our patients to research the different brands by checking out their websites and customer reviews. If there is a specific brand you would like to try, please consult our hearing professionals for more information! This is a big factor to consider when searching for hearing aids. Hearing aids range in price from approximately $500 to $4000 each. Hearing aid price depends on your lifestyle, the features, sound quality, and ability to deal with background noise. Although two hearing aids may look alike, what you are paying for is the computer chip inside. Hearing aids come in 3 different technology levels which determine their price: entry level, mid-level, and premium-level. Entry level hearing aids: These are the least expensive hearing aids on the market. They come in all styles and colors. 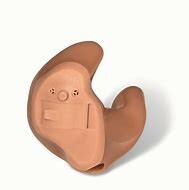 These types of hearing aids will turn up the overall volume in our environment however they do not function very well in background noise. That being said, a patient with a less active lifestyle may find these types of hearing aids will do trick to help with one-on-one conversation. Mid-level hearing aids: These hearing aids are slightly more expensive than entry level hearing aids with many more features and better sound quality. This level is the most popular level among iDenture & Hearing users because it works well with a moderately active type of lifestyle functioning well in both one-on-one conversation and in background noise. 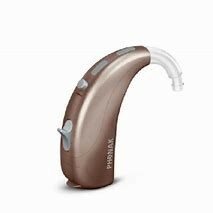 Premium-level hearing aids: The most expensive hearing aids on the market with the best sound quality and lots of features to make the devices more user-friendly. Premium aids are generally recommended for someone with a more active lifestyle and the need to hear well in many different types of listening environments. These hearing aids deliver a truly “natural” sound experience and work hard in background noise to amplify the sounds you need to hear and decrease the background noise you don’t want to hear. At iDenture and Hearing, we analyze your lifestyle and budget to select which level of technology and price will work best for you. We also offer second opinions on competitor quotes to ensure you get the best price possible. Some insurance plans offer coverage for hearing aids. In Ontario, most patients are also eligible for the Assistive Devices Program (ADP) every 5 years which covers up to $500 per hearing aid. Payment plans are available as well. Different hearing manufacturers have different warranty periods ranging from 1 to 3 years. The warranty generally covers loss and damage. This means any type of damage including water, physical, or hardware issues as well as if the device is completely lost. Sometimes there is a fee associated with accessing the loss and damage policy depending on the circumstances. Bluetooth compatibility: Some hearing aids possess the ability to connect to Bluetooth meaning they can stream music, videos, or even phone calls directly through the hearing aids. Programs: Most hearing aids have the ability to add programs which are settings that change the sound of the hearing aids to perform better in a certain environment. This is usually operated with a switch on the hearing aid or using a remote control. For example, if you enjoy going for your morning coffee, however do not enjoy the loud background noise in the restaurant, we can set the hearing aids to manually decrease all background noise. Ask us for more information! Data-logging: Some hearing aids have the ability to log data on how often and in what situations you are changing the volume. This allows your hearing healthcare professional to make adjustments to ensure your hearing aids are comfortable at all times. Tinnitus maskers: Tinnitus is defined as a sound manifested in the ears as a ringing, buzzing, pulsing, clicking, or whooshing sound. Many patients have tinnitus and although there is no proven treatment for tinnitus, hearing aids can help. Sometimes hearing aid use can decrease perceived tinnitus. Other times, a tinnitus masker can be added to the hearing aid to help drown out the sound of the tinnitus. This is usually a white noise, relaxing noise, or chimes in order to retrain the brain to ignore the perceived tinnitus. For more information, check out Widex Zen Therapy! Hearing aids come with different sizes of batteries each lasting various periods of time. As hearing aid batteries are very small, they generally only last 2 days to 2 weeks. The size of the battery also determines the size of the hearing aid. 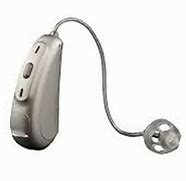 The smallest hearing aids on the market, for example the Moxi by Unitron (seen below), have small batteries meaning less battery life. A patient who with dexterity concerns may be more apt to choosing a larger battery and thus a larger hearing aid which will last longer and be easier to operate. New to iDenture & Hearing, we also offer rechargeable hearing aids which require a minimum of 3 hours to charge for up to 24 hours of hearing aid use. It’s as easy as putting the hearing aids on the charging station at night and putting them on in the morning. Ask us for more details! We have limited quantities of rechargeable hearing aids available for free trials! On all hearing aid purchases at iDenture & Hearing, it is standard to offer a 3 year battery package which covers all batteries used during that duration. At every appointment, we will offer to replenish your battery supply. After this time, we offer one year service plans, single battery packs, and 6-month boxes of batteries for purchase. Remote controls: These are small hand-held devices you can use to control the volume and change programs for your hearing aids. Streamer: A different type of remote control that enables Bluetooth streaming directly to your hearing aids. TV device: An accessory that connects directly to your TV to wirelessly stream your favourite programs through your hearing aids. Cleaning kits: A kit to clean or keep moisture out of the hearing aids in order to improve the lifespan of the hearing aids. Last but not least, colour! You will get to choose the color of your hearing aids depending on the options available from that specific manufacturer. Most people try to match their hair or skin tones, however we also have bolder colors such as hot pink and camouflage.